Isn’t this turtle adorable? I created this card for the Inkadinkado Product Review a while back. I stamped the Turtle in Tuxedo Black Memento Ink on Watercolor paper and colored her with Aqua Painter and Inkadinkado Watercolor Markers. The card base is a 4 1/4″ x 8 1/2″ piece of Kraft cardstock folded in half. A 3 3/4″ piece of Weathervane October Afternoon Paper was sanded and stitched on a 3 15/16″ square of Whisper White cardstock. The next layer is another piece of Weathervane October Afternoon Paper. It was cut with Square Nestabilities. A 7/8″ x 4 1/4″ piece of October Afternoon paperwas sanded and then stitched to white piece of cardstock strip, that had been cut with Scalloped Scallop Die-namic die. Pink Silk Ribbon was tied around the layers and topped with a Basic Grey button. I cut a 1/2″ circle with Circle Nestabilities out of Neenah Solar White cardstock and colored the inside of the circle with the sky blue watercolor Marker. The turtle was taped over the circle with dimensionals. The sentiment is from Verve’s Bountiful Backgrounds. I love the backgrounds in the set, but I love the sentiments and the fonts they are written in even more. The sentiment was stamped in Tuxedo Black Memento Ink on the top left of the scalloped paper square. Three pink Kaisercraft Rhinestones were added to the top right of that square to finish off the card. Really cute card. Would do for a kids card or an adult! Not too shabby! This is so darn cute. Love the colors and that big pink bow! Everything about this card is perfect… not even a stitch out of place!! Oh my GOOOODNESS, that is TOOOO cute for words…such adorable details!! Just wanted to pop back in and let you know I received your care package today! I just love it and cannot tell you how grateful I am! That was such a thoughtful thing to do! Thanks so much! Super duper cute for sure! Happy 4th of July to you and your family! Hehe! This is SO cute Beate! LOVE this turtle and your coloring!! Hey Girl! 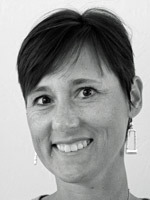 Your last few posts are fabulous…what an entertainer you are Beate!!! Such and so much inspiration…you are gifted with the gift of using different textures, papers and mediums! I just love all! Happy 4th of July to you and yours!!! Herrlich liebe Beate, eine wunderschöne Karte. what a darling image. the scallops are perfect and so is the gingham and polka dot combo! really cute, Beate! 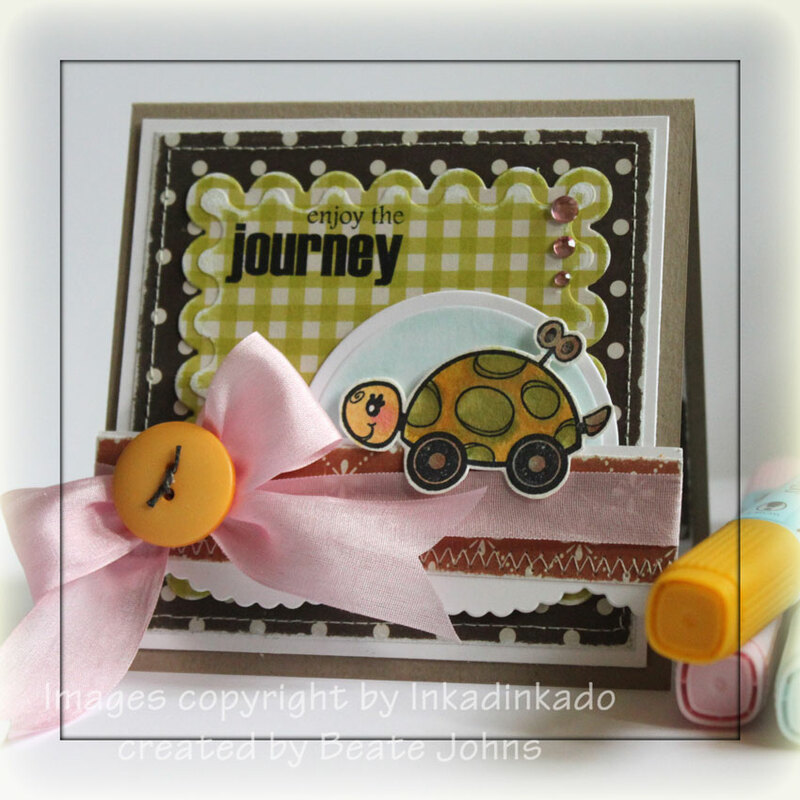 That little turtle is as cute as can be…and I love all of your fabulous layers & details!! Fabulous, Beate!! How cute is this little turtle?! This is just the cutest little turtle ever! Your yummy layers and all of the different decorative edges/stitching are so fun to take in! I especially love how you used different sizes of bling up in the corner… too cute! !